Congratulations to our first American Chapter! Congratulations to our first African Chapter! Peace Worldwide Organization Chapter in Kenya has been very active in building Peace in East Africa. Its membership has expanded from 10 in 2012 to 135 in 2014. 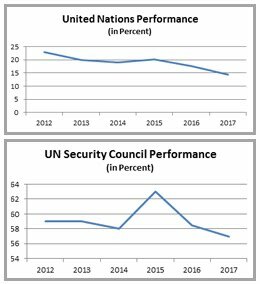 Also, it is active in encouraging peace in Uganda, Rwanda and Burundi. In the troubled Burundi, its members are very active in promoting peace and harmony among communities. Early this year, the chapter began peace building training for community leaders, opinion leaders, church leaders, teachers etc. The training has been very effective. Unity of Mankind -- Knowing that we are all one people on this earth. 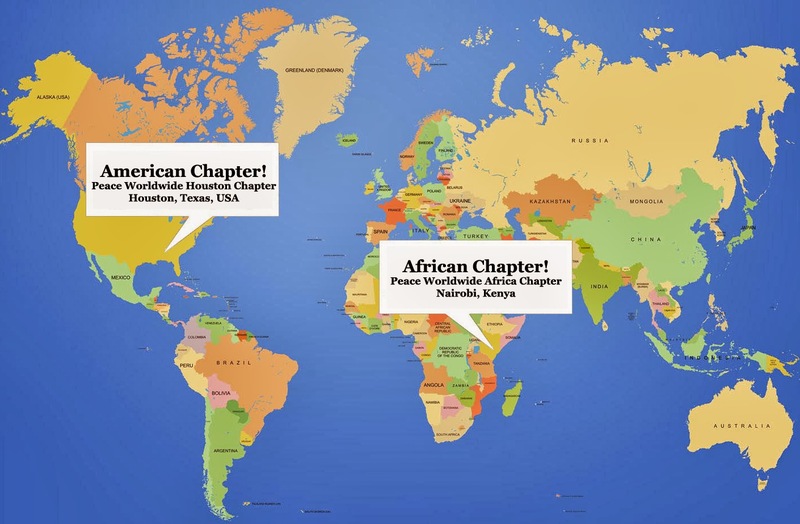 How Will Chapters Make a Difference? Chapters provide opportunity to speak freely about initiatives for peace within and worldwide. Chapters create a peaceful atmosphere to discuss inner feelings and ways to free the world from the scourges of war, oppression, and persecution. Participate in direct action and assistance on local, regional, national, and/or international levels generating peace worldwide. Inspire the global masses for peace worldwide. 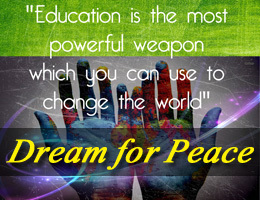 Raise and provide funds for causes pursuing peace worldwide. Collaborate with other entities to enhance peace worldwide. Peace Worldwide Organization Chapter Membership, whether Individual or Academic, is available through the prospective chapters where ten or more prospective Individuals or Academic faculties and/or students, at least 18 years of age, join together as a formal chapter in support of the Peace Worldwide Organization at the grass-root level. All Chapters are expected to adopt the P.W.O. mission and adhere to P.W.O.’s five principles. All officer positions in an approved Chapter shall be by direct election within from the Chapter's Membership where the officer election results are from its majority outcome. P.W.O. may assign a Leader or Sponsor from another chapter nearby to advise the prospective chapter, if necessary. P.W.O. will provide the prospective Chapter a Chapter Constitution and By-Laws called “CHARTER”. The chapter shall complete the CHARTER, sign, and submit to P.W.O. After review of the completed CHARTER by P.W.O., the chapter may be adopted. P.W.O. will notify the Chapter Leader or Sponsor of the rendered decision made by P.W.O. P.W.O. will provide the new Chapter with the necessary procedures to conduct the regular meetings. After Chapter approval, interested members will be presented to the Chapter for election of President, Secretary, and Treasurer. Those elected will fill out and submit the Officer Election Form to P.W.O. 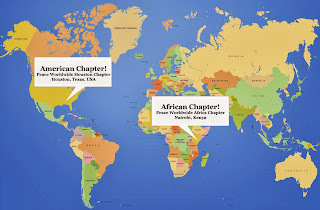 In each country, Chapters shall apply to be classified as non-profit organizations / associations. In the United States, the P.W.O. will apply for an Employer Identification Number (EIN) for each chapter. A Chapter may meet at places like community centers, civic centers, hotels, restaurants, corporation, or schools. 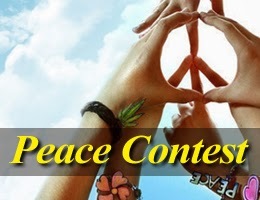 All fees along with forms will be submitted to Peace Worldwide Organization. The fees minus a processing fee will be returned if membership is denied. All funds raised shall be deposited in the Chapter’s bank account. If such an account does not yet exist, the funds shall be entrusted with the Chapter Treasurer until a bank account is set up. Each Chapter shall inform P.W.O. of the selection in advance and use all funds raised from its activities to advance its position in the service of its own community. All Chapter related documents shall be submitted to the Planning and Membership Division or membership@peaceworldwide.org. All correspondence shall be done electronically.